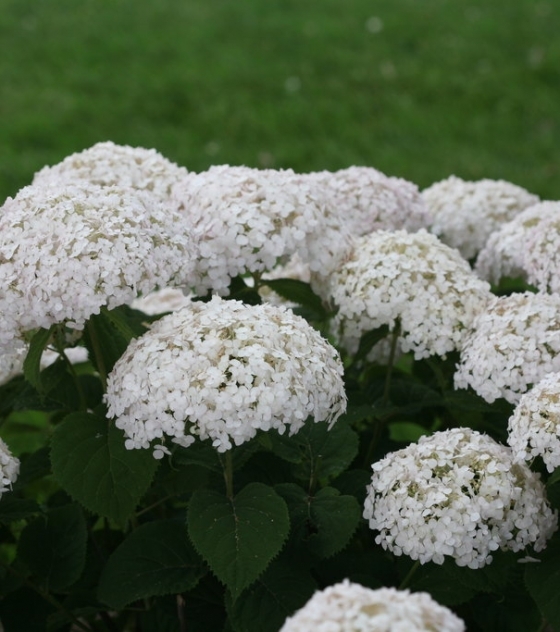 Hydrangea arborescens ‘NHCA5’ | J.C. Bakker & Sons Ltd.
Invincibelle Wee White® hydrangea is positively ground-breaking: it’s the first dwarf ‘Annabelle’ type hydrangea in the world! This cute little landscape plant ensures that any landscape can enjoy the reliability, low-maintenance, and season-long beauty of hydrangeas. 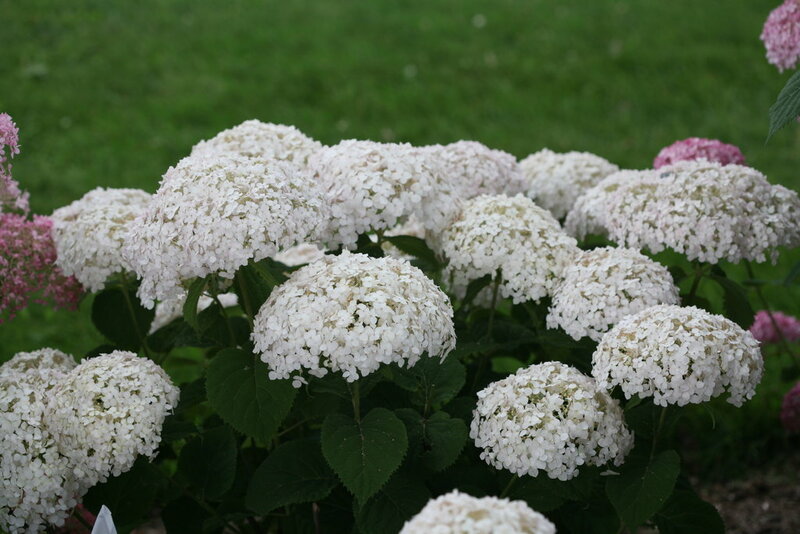 It reaches just 1-2.5′ tall and naturally grows as a tidy, rounded mound. Each flower emerges a soft, blush pink before changing to white, and is held up on a strong, supportive stem for a display that looks more like a bouquet of flowers than a landscape plant. Blooming begins in early summer and continues through frost, with new flowers appearing the whole time. 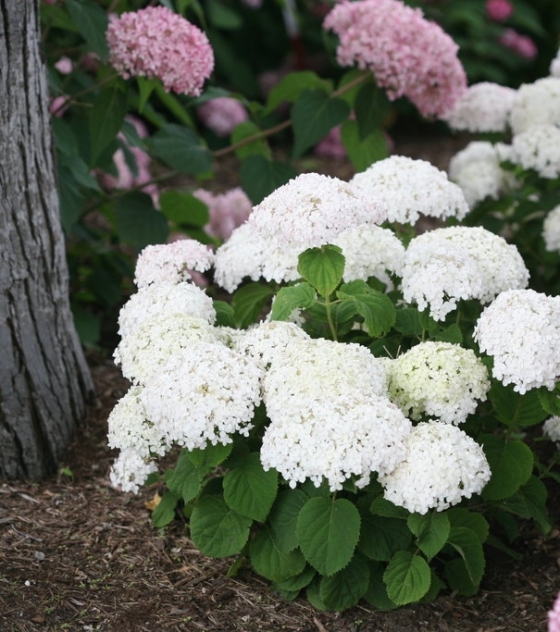 Versatile and floriferous, it just might be the solution to your landscape problems. SKU: 32270302. Categories: Proven Winners, Shrubs. 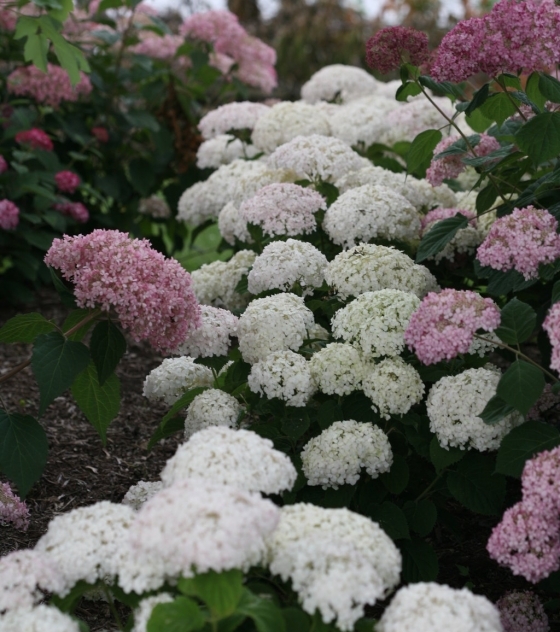 Tags: Hydrangea, Invincibelle, Wee White.